Go with these all-digital testers and eliminate all color-matching. 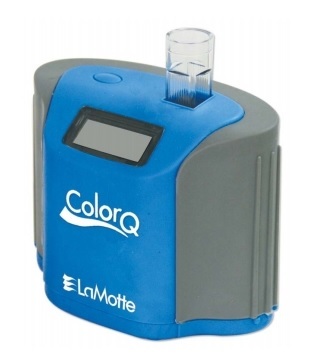 Scroll down to browse through information on the line of ColorQ all-digital, Water Analyzers. 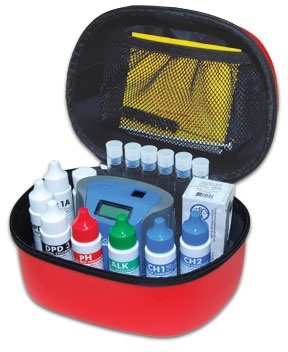 There is a photometer test kit to suit the needs of all pool and spa owners or professionals. The Website Store Directory contains an alphabetized listing of all products for sale. We don't just sell products. We help you make a better-informed choice, by providing all the information, you might require. Need ordering help? Scroll down the page, for the Order Desk Telephone Help Number. All items ordered will end up in the same shopping cart, no matter which page of this website, the items are located. All Major Credit Cards and PayPal are accepted. Order one today. A variant of this photometer tester is used in all of the ColorQ kits. Even though this tester can fit in the palm of your hand, it's big on capability, reliability and ease of use. Available in ten (10) models, performing from four (4) to eleven (11) different test factors. 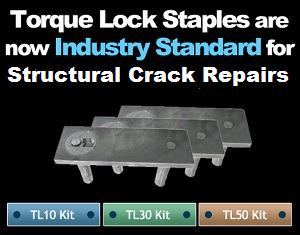 Use liquid test solutions and/or reagent tablets. Models for pool and spa owners and professional use. 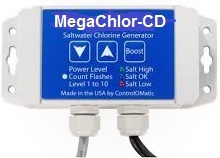 One will be just right for your pool or spa water testing needs. Color-matching and guesswork are completely eliminated, with these all-digital testers. Easy to use too!!! If you find a bargain, elsewhere, the test chemicals could be expired. Phosphate, Biguanide/Shock and Hydrogen Peroxide. Insta-Test features a full-range of instant reading strips, from strips with multiple tests, to test strips for less common, but still important water test factors. We provide factory fresh replacement chemicals and supplies, for every LaMotte tester, sold. for Pool and Spa use or other applications. Can't find it? Drop us a line and we'll get it. Scroll down for ColorQ Product and Ordering Information. Scroll down for tester model specifics and to place an order. The ColorQ series of electronic, digital water analyzers are fully-portable water testers, for all types of residential and commercial pools and spas. The ColorQ Photometer Labs are perfect for pool and spa professionals and pool and spa owners alike. There are ten (10) different models, with one right for every situation. There are models suitable for use with Pools and Spas using Chlorine, Bromine, Biguanide or Ionization, as the sanitizing method. These advanced-design, multi-test, hand-held, digital, photometers can perform 4-11 different Pool and Spa Test Factors. Depending on the model and your specific requirements, you can perform the following tests: Free Chlorine, Total Chlorine, Bromine, pH, Alkalinity, Calcium Hardness, Cyanuric Acid, Copper, Iron, Biguanide and Biguanide Shock. Includes enough reagents to perform 100 cyanuric acid tests and as many as 144 - 288 of each of the other tests, depending on the particular model. 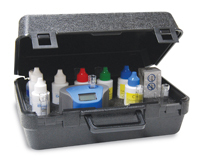 All PLUS Models feature larger bottles of the liquid test reagents (288 tests), a copy of the Pool Manager's Handbook and a Saturation Index Calculator. 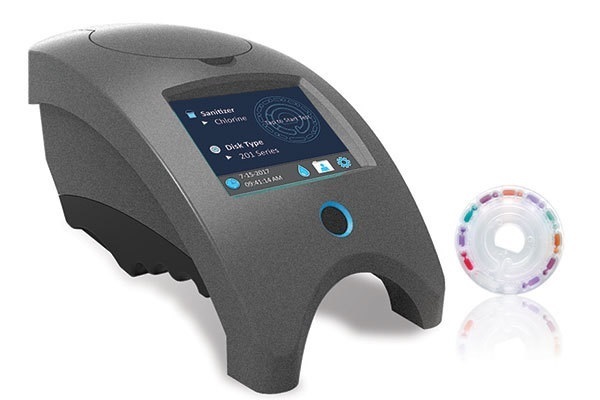 The ColorQ features an innovative, technically advanced, dual-optic design, that enables the photometer to provide more accuracy and more test factors. All ColorQ models read directly on a digital display and completely eliminate the need to visually determine slight color variations or use look-up tables. 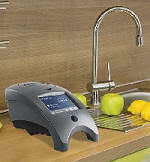 Takes the guesswork out of on-site, pool or spa water analysis. A must for those with color vision impairment. The 5 minute auto-off function protects the battery life (2 AA batteries included). 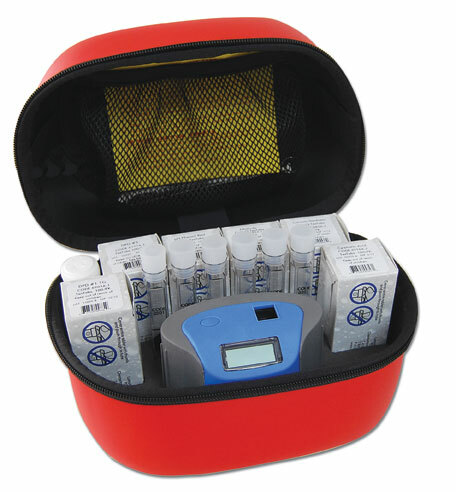 The tester and all supplies fit conveniently inside a compartmented, compact storage case. There is nothing else to buy, as all of the required supplies are furnished. Be better informed, save time, money and avoid costly mistakes! Instructions are made simple, using photo-diagrammatic instructions in English, Spanish and French. Includes a 6-month, factory warranty on parts and workmanship. We guarantee that all equipment and reagents are factory fresh, with a complete factory warranty. Don't settle for anything less! Click Here For Some Maintenance and Usage Suggestions. NEW!!! ColorQ Daily Testing Log - Click here to print out the form, for your use. Choosing the right ColorQ model, for your Pool or Spa needs. There are models suitable for Pools-Spas using Chlorine or Bromine, Biguanide or Ionization. Numbers, below, indicate the amount of tests that can be performed, with the chemicals supplied. 144 and 288 indicate Liquid Reagents are being used. 50 and 100 indicate TesTabs Reagents. We supply every replacement item, for all ColorQ models. Factory Fresh Guaranteed. ColorQ Models Suggested for Residential or Professional Pool-Spa use. ColorQ Models Suggested for Professional or Residential Pool-Spa use. 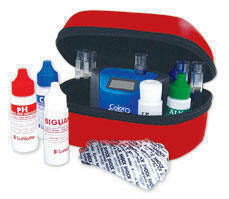 * This ColorQ model can perform additional tests, if the optional test reagents are purchased. Scroll down to place an order, for the selection of your choice. ColorQ Models Suggested for Residential or Professional Pool and Spa usee. The ColorQ PRO 7 Photometer reads Seven (7) Pool and Spa Test Factors: Free Chlorine, Total Chlorine, Bromine, pH, Alkalinity, Calcium Hardness, and Cyanuric Acid. Includes enough reagents to perform 100 cyanuric acid tests and 144 of each of the other tests. There is nothing else to buy, as all of the required supplies are provided. Scroll up for more product specifics. Factory Fresh Guaranteed. Feedback has been great. 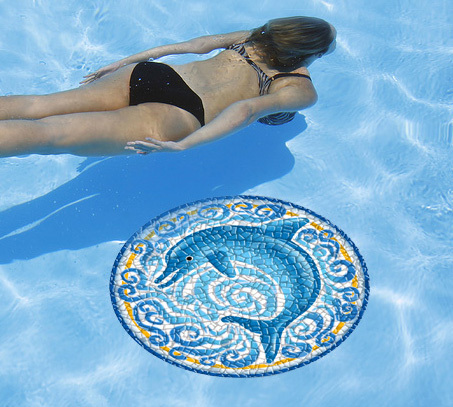 Awarded one of "The Most Valuable Products for 2008" by Aquatics International Magazine and one of "Top 50 Products for 2008" by Pool and Spa News. One week shipping delay, is possible. The best choice for pool or spa owners, with no major calcium or hardness problems. The ColorQ PRO 6 Photometer reads Seven (7) Pool and Spa Test Factors: Free Chlorine, Total Chlorine, Bromine, pH, Alkalinity, Calcium Hardness, and Cyanuric Acid. This newest model differs from the #2056 ColorQ PRO 7, only in the use of calcium hardness test tablets, which results in a more limited testing range, but provides longer reagent shelf life. Includes enough reagent tablets to perform 100 each of the calcium hardness and cyanuric acid tests and 144 of each of the other tests, using liquid reagents. The #2072 model tester is best suited for use in softer water areas, because of its more limited testing range of only up to 400 PPM. However, its use of a tableted reagent, for the calcium hardness test, provides a longer shelf life, that is better suited for those that only perform this test, on a less frequent basis. There is nothing else to buy, as all of the required supplies are provided. Scroll up for more product specifics. Factory Fresh Guaranteed. Ideally suited for use outside of the U.S.
All tests use TesTabs reagent tablets. The ColorQ TesTabs PRO 7 Photometer reads Seven (7) Pool and Spa Test Factors: Free Chlorine, Total Chlorine, Bromine, pH, Alkalinity, Calcium Hardness, and Cyanuric Acid. Includes 100 TesTabs, for each test factor. While the TesTabs are convenient and have a longer shelf-life, they do require crushing for complete dissolving and are not as fast, in use, as the liquid reagents, such as used in the #2056 ColorQ PRO 7. There is nothing else to buy, as all of the required supplies are provided. Scroll up for more product specifics. Factory Fresh Guaranteed. 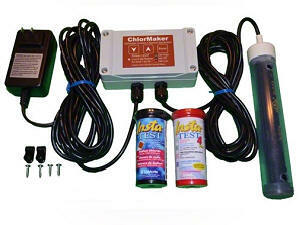 Owner's #1 Choice with copper-ionization sanitizers. The ColorQ COPPER 5 Photometer is perfect for pool or spa owners and professionals, especially if are using a copper ionizer, oxidation-ionization sanitizer, copper-oxidation sanitizer, mineral sanitizer or have source water containing copper or iron. The ColorQ COPPER 5 Pool/Spa digital, photometer reads Five (5) Pool and Spa Test Factors: Copper (0 to 4.0 ppm, in 0.01 PPM increments), pH (6.5 to 8.5, in 0.1 increments), Alkalinity (0 to 250 ppm, in 1.0 PPM increments), Calcium Hardness (0 to 700 ppm), in 1.0 increments) and Iron (0 to 3.0, in 0.01 PPM increments). The kit features economical liquid reagents for pH, Alkalinity and Calcium Hardness: enough to do 144 tests for each test factor. 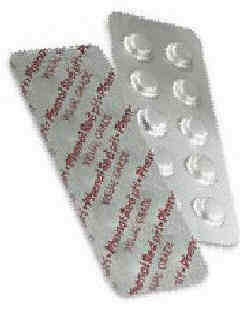 Easy to use TesTabs® tablets for Copper (100 Tablets) and Iron (50 Tablets) are included. There is nothing else to buy, as all of the required supplies are provided. Scroll up for more product specifics. Factory Fresh Guaranteed. Biguanide Pool and Spa Owner's #1 Choice! The ColorQ Biguanide Pool/Spa 5 Photometer is perfect for pool or spa owners or professionals, alike, that use biguanide as the sanitizing agent. The Pool/Spa 5 digital, photometer reads Five (5) Pool and Spa Test Factors: Biguanide, pH, Alkalinity, Calcium Hardness, and Biguanide Shock (Hydrogen Peroxide). Includes enough reagents to perform 50 biguanide shock tests and 144 of each of the other tests. There is nothing else to buy, as all of the required supplies are provided. Scroll up for more product specifics. Factory Fresh Guaranteed. Biguanide is the generic name for the non-chlorine sanitizers: Baquacil, Soft-Swim and Revacil. ColorQ Models for Professional, Commercial or Residential Pool and Spa use. The ColorQ PRO 7-PLUS Photometer is perfect for pool and spa professionals and service technicians. The ColorQ PRO 7-PLUS reads Seven (7) Pool and Spa Test Factors: Free Chlorine, Total Chlorine, Bromine, pH, Alkalinity, Calcium Hardness, and Cyanuric Acid. Includes enough reagents to perform 100 cyanuric acid tests (reagent tablets) and 288 of each of the other tests (60 ml. liquid reagents), a copy of the Pool Manager's Handbook and a Saturation Index Calculator. There is nothing else to buy, as all of the required supplies are provided. Scroll up for more product specifics. Factory Fresh Guaranteed. Awarded one of "The Most Valuable Products for 2009" by Aquatics International Magazine. The ColorQ PRO 9-PLUS Photometer is perfect for pool and spa professionals and service technicians, especially when dealing with the presence of copper and/or iron. The ColorQ PRO 9-PLUS reads Nine (9) Pool and Spa Test Factors: Free Chlorine, Total Chlorine, Bromine, pH, Alkalinity, Calcium Hardness, and Cyanuric Acid. Includes enough reagents tablets to perform 100 cyanuric acid, iron and copper tests and 288 of each of the Free Chlorine, Total Chlorine, Bromine, Alkalinity and Calcium Hardness tests (60 ml. liquid reagents), a copy of the Pool Managers Handbook and a Saturation Index Calculator. As a bonus, the ColorQ PRO 9-PLUS Photometer can perform tests for Biguanide and Biguanide Shock, with the purchase of the optional reagents, which are sold separately. There is nothing else to buy, as all of the required supplies are provided. Scroll up for more product specifics. Factory Fresh Guaranteed. All tests use TesTabs Reagent Tablets. 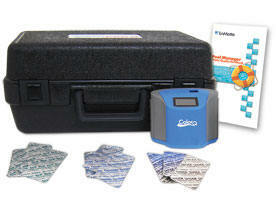 The ColorQ TestTabs PRO 9 Photometer is perfect for pool and spa professionals and pool and spa owners alike. 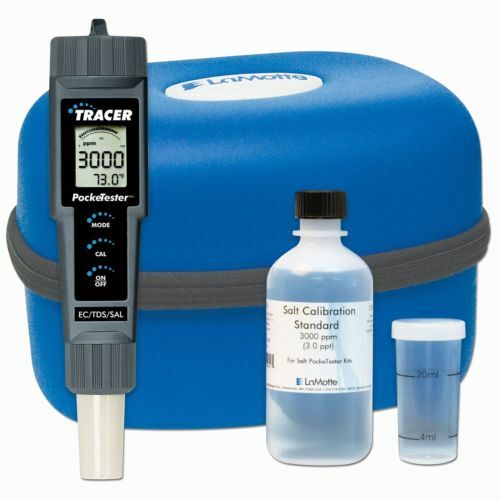 The ColorQ TestTabs PRO 9 digital, photometer reads Nine (9) Pool and Spa Test Factors: Free Chlorine, Total Chlorine, Bromine, pH, Alkalinity, Calcium Hardness, Cyanuric Acid, Copper and Iron. Includes 100 TesTabs, for each test factor, a copy of the Pool Manager's Handbook and a Saturation Index Calculator. While the TesTabs are convenient and have a longer shelf-life, they do require crushing for complete dissolving and are not as fast, in use, as the liquid reagents, such as used in the #2067 ColorQ PRO 9-Plus. As a bonus, the #2069 ColorQ TesTabs PRO 9 can perform tests for Biguanide and Biguanide Shock, with the purchase of the optional reagents, which are sold separately. There is nothing else to buy, as all of the required supplies are provided. Scroll up for more product specifics. Factory Fresh Guaranteed. The ColorQ PRO 11 Photometer is perfect for pool and spa professionals and pool and spa owners alike. The ColorQ PRO 11 reads Eleven Pool (11) and Spa Test Factors: Free Chlorine, Total Chlorine, Bromine, pH, Alkalinity, Calcium Hardness, Cyanuric Acid, Iron, Copper, Biguanide and Biguanide Shock. Includes enough reagents to perform 144 of each of the Free Chlorine, Total Chlorine, Bromine, pH, Alkalinity, Calcium Hardness and Biguanide tests. Also, includes enough reagents to perform 100 Cyanuric Acid, Iron, Copper and Biguanide Shock Tests, a copy of the Pool Manager's Handbook and a Saturation Index Calculator. There is nothing else to buy, as all of the required supplies are provided. Scroll up for more product specifics. Factory Fresh Guaranteed. Awarded one of "The Top 50 Products for 2008" by Pool and Spa News. All tests use TesTabs Reagent Tabs, except for the Biguanide Test! The ColorQ TesTabs PRO 11 Photometer is perfect for pool and spa professionals The ColorQ TesTabs PRO 11 reads Eleven Pool (11) and Spa Test Factors: Free Chlorine, Total Chlorine, Bromine, pH, Alkalinity, Calcium Hardness, Cyanuric Acid, Iron, Copper, Biguanide and Biguanide Shock. Includes enough reagent TesTabs to perform 100 of each of the eleven (11) tests, with the exception of the Biguanide test. That test uses a liquid reagent: each bottle performs 144 tests. Also includes a copy of the Pool Manager's Handbook and a Saturation Index Calculator. There is nothing else to buy, as all of the required supplies are provided. Scroll up for more product specifics. Factory Fresh Guaranteed. Pool and Spa Leak Sealing Product Seals many types of pool or spa leaks.